As an entirely youth-based organization, both Free The Children and its globally successful initiative We Day, rely heavily on social media to spread awareness, share and amplify stories and promote events. We connected with Michael Rajzman, Associate Director of Digital Media at Free The Children to share their story. Stories have the ability to reach a global audience and inspire them to take action. They are shareable and made to stick. One powerful story can change the course of someone’s life completely. International charity and educational partner, Free The Children has empowered and enabled more than 1.7 million youth across North America and the UK to become agents of global change. The charity’s mission is to empower youth and their communities to end child poverty, exploitation and eliminate the notion that kids are powerless to effect change. Free The Children’s most powerful avenue for storytelling is We Day. Think TEDtalks for youth. Hundreds of thousands of youth earn a ticket to the stadium-sized event by committing to action against one local and one global cause. Millions more join in on the excitement online through social media and the live webcast. We Day performers include pop stars and role models like Demi Lovato and the Jonas Brothers, while inspirational speakers like Jane Goodall, Richard Branson and Al Gore discuss global issues. We Day’s moving performances and speeches aim to inspire a new generation of global citizens who will take action to make change — locally and globally. To ensure that their message is properly heard, We Day stories are shared and amplified where their audience is most present – on social media. With nearly 3.3M likes, We Day is one of the largest charitable Facebook causes in world. And with good reason. Sharing inspiring videos of children with recent access to clean water and self-sufficient schools in Africa or videos of pop stars sharing their experiences is a very powerful thing. Many of these stories shed light on what’s going on in different communities, both overseas and domestically, and provide youth with attainable solutions. “Free The Children helps to build active global citizens, and we aim to share their stories and experiences and use social media as another platform to make global good” – Michael Rajzman, Free The Children. As the Associate Director of Digital Media, Michael Rajzman is in charge of Free The Children’s content and social media strategies. Managing social marketing and amplification of an event as large as We Day is a huge undertaking. Rajzman’s social team strategizes and plans ahead of time and spends months following the event, amplifying stories through rich media and social content. During the event, his team is well-equipped to listen and engage in social conversations about the speakers, performers on stage, over #WeDay and spur-of-the-moment hashtags, and over youth and media mentions. “We Day is such an incredible event and everything moves so quickly, so having a solid social relationship platform is absolutely essential” – Michael Rajzman, Free The Children. But even when We Day has come and gone, Free The Children’s social content doesn’t dry up. Focusing on amplifying stories in the field, Rajzman’s team shares new campaigns, updates in communities around the globe, stories of success, sustainability and of hope, but above all, their brand ambassadors connect in meaningful one-on-one conversations. As we are discovering with large organizations like Free The Children, social media isn’t “owned” by one team or department. 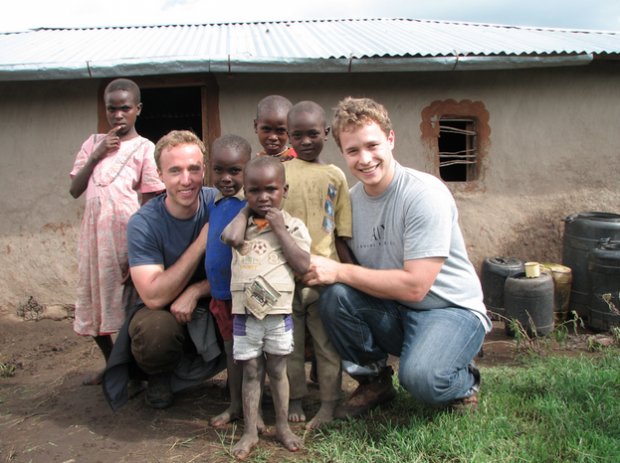 Free The Children’s co-founder, Craig Kielburger, for example is considered a public figure and brand ambassador with thousands of followers to whom he shares important facts about social action, his own thought pieces, and updates in the field and his travels. As social media applies to many departments in their organization, Rajman’s team works internally to streamline workflow and ensure that all the brand ambassadors are saying the same thing. “We take a look at each social platform against our different campaigns and objectives to see how we can best leverage the natural possibilities of the platform to amplify our message” – Michael Rajzman, Free The Children. From debriefing after a successful global event like We Day to building a content calendar for the future, having statistics on past key performance indicators is essential. Free The Children is able to improve on the performance of their campaigns, initiatives and events year over year by effectively tracking important insights and strategizing against past top performing content. Founded in 1995 by then-12-year-old Craig Kielburger, Free The Children’s mission is to free the children from poverty, exploitation and the notion that they are powerless to effect change. Free The Children empowers and educates youth to be ambassadors for global change, giving them the tools and knowledge to succeed. Abroad, they raise funds for their “Adopt a Village” model, where they support communities with the skills and knowledge to become self sufficient through a sustainable model. Since 1995, Free The Children has provided +55K children with education everyday, built over 650 schools and school rooms, and provided clean water, healthcare and sanitation to 1 million people, to mention a few. Thank you Michael Rajzman and Free The Children for chatting with us! Try HootSuite Pro for 30 days and put the power of social media to work for you.